The kitchen really is the heart of any home and especially at this time of year. Oak is a fantastic material to use in a kitchen, it's classically elegant, tactile and solid and the colour of the wood gives your interior a warm and inviting look. 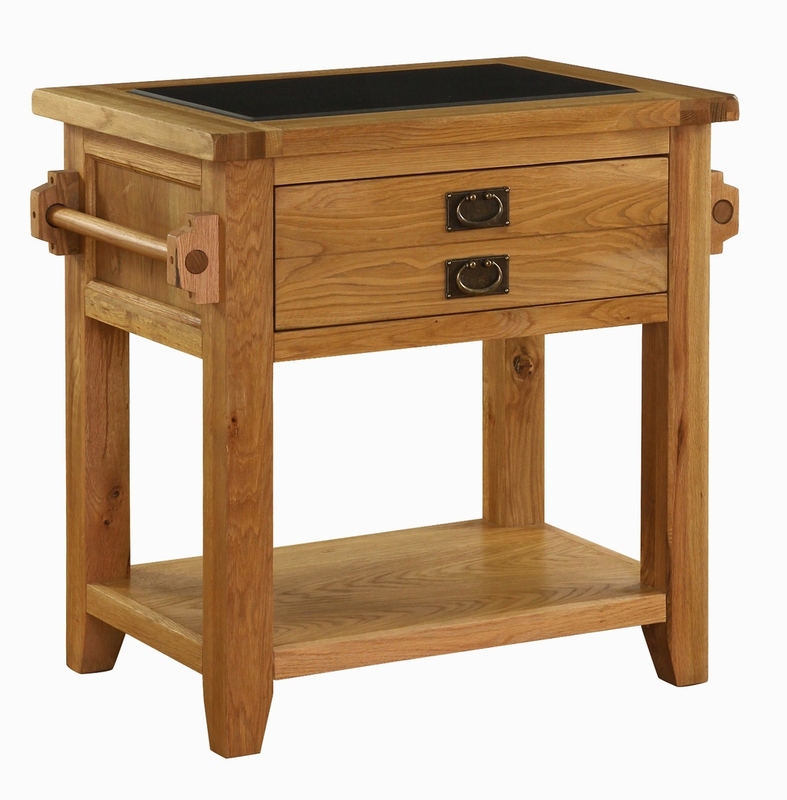 Oak is a hard wood and Oak furniture is perfect for any room which sees a lot of wear and tear. 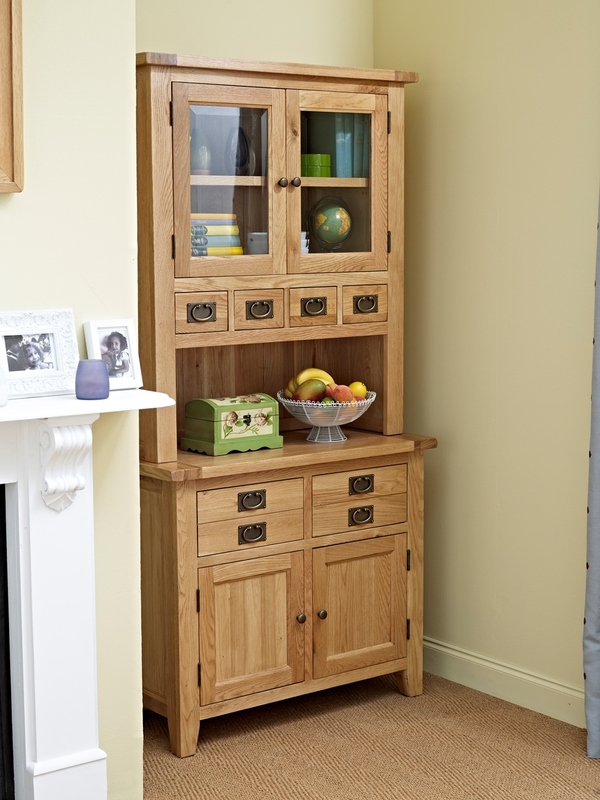 The Oak Collection at Strawbridge is made from 100% solid oak and includes a wide range of furniture pieces from kitchen tables and chairs to bookcases and dressers. Click here to see the full collection of oak furniture. Our Oak Collection has been finished in a matt oil to allow the true colour and detail of the natural wood to shine through. Each piece is beautifully crafted and although the oak furniture carries a weighty presence an attention to the finer details has not been ignored. The smooth cornices, beveled side and front paneling and subtle metal handles give this strong and natural material an elegant and contemporary twist. 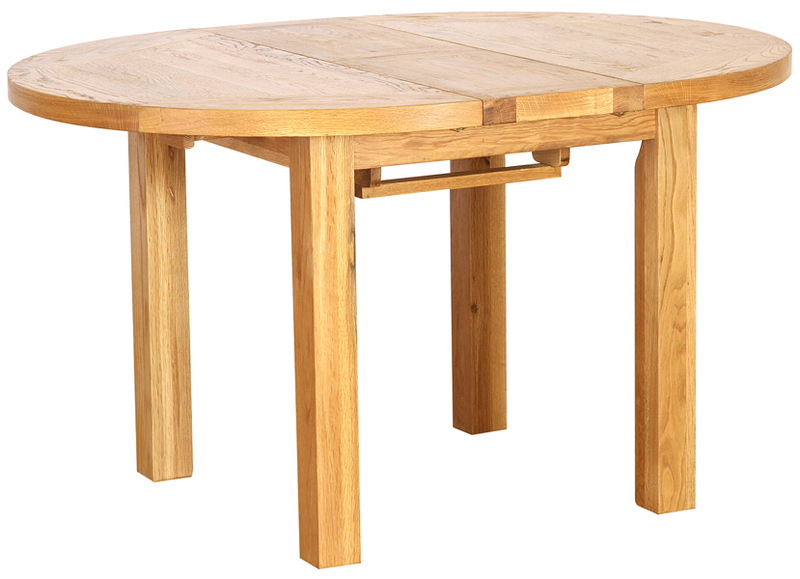 This beautiful Oak Colleciton kitchen table is extendable via a centre panel which folds down easily and retracts into a section underneath the table. It then clips into place and is secured until unclipped and pulled out again. This is extremely handy for quickly creating extra places at your kitchen table during the holidays or visits from friends and family. Once your visitors have gone you can simple fold away the centre panel and bring your table back to normal! The extendable oak table comes in two sizes; ( 1. ) w 180 x d 100 x h 79 cm opens to w 230 cm, € 1,075 , Product Code: VXD002. ( 2. ) w 193 x d 112 x h 79 cm opens to w 254 cm, €1,199, Product Code: VXD001. The Oak Collection also houses a number of kitchen storage and work units such as kitchen islands, dressers and wine racks. These pieces combine beauty and function perfectly and are brilliant kitchen storage solutions as well. This collection of furniture is made from solid oak and you will discover that it has its own characteristics. Natural features include small cracks, knots and grain pattern variations and these serve only to enhance the furniture’s natural beauty and charm. As well as being extremely durable oak furniture ages beautifully too so that you will get many years out of your furniture. 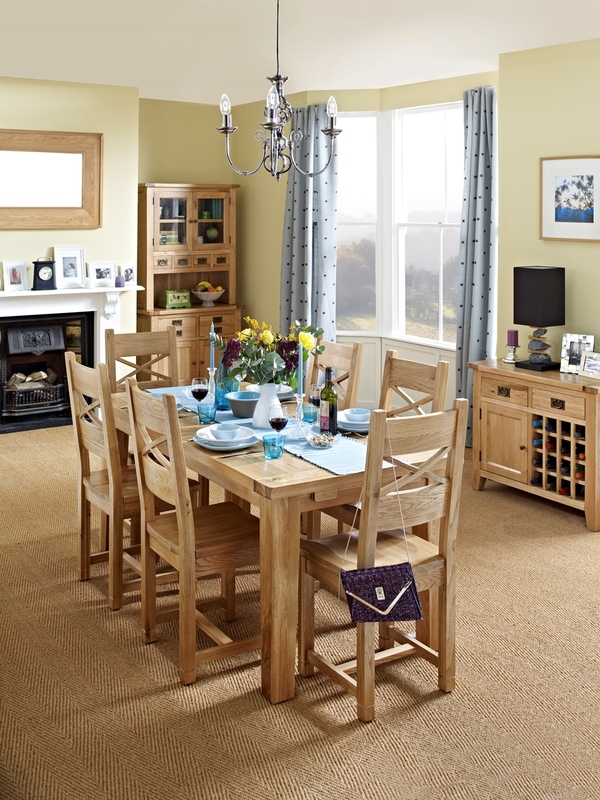 Here are some tips on caring for your new oak furniture to ensure that it lasts a lifetime! • Extreme temperatures can trigger slight movement in the furniture so please try and avoid putting your furniture too close to radiators or other heat sources. • Excessive humidity should also be avoided and adequate ventilation provided at all times. • Bright lights may also have an effect on the colour of the Oak – this is perfectly normal. • Any spillages should be cleared up as quickly as possible until the area is dry. • Dragging the furniture can cause damage to the timber and the joints so please always get help to lift it when moving it around. The matt oil finish of the Oak must be kept dust free. Please use a lint free cloth and always wipe in the direction of the grain. polishes can be used for this. If the surface gets scratched or damaged in any way please rub some wax polish into the area to repel any moisture.